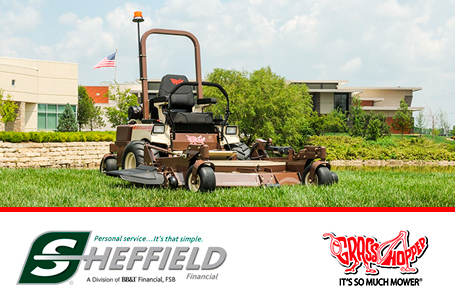 Designed for powerful, efficient and economical performance, the Model 335 provides intense mowing power to meet the demands of commercial mowing applications. Accepts Model 8F/M1, Model 12F/M1 and Model 16 PowerVac™ collection systems. Air Cleaner System: Heavy-duty, cyclonic, remote-mounted dual air cleaner with replaceable element. Deck Construction: (Robotic-welded steel) Double-layered 10-gauge plus 7-gauge formed-steel laminated spindle plane 0.313 in (7.95 mm) thick- more than 25% thicker than 0.25 in. (6.35 mm) ñ with 7-gauge skirts for geometric strength. Spindle plane is 0.9 in. (22.86 mm) thick in stress zones. Anvil-edge design with 0.5 in. (12.7 mm) reinforcement on front edge of deck. Instruments: (Console Mounted) Low engine oil pressure and parking brake warning lights, hour meter, ignition and push/pull PTO switches. Choke integrated with throttle lever. 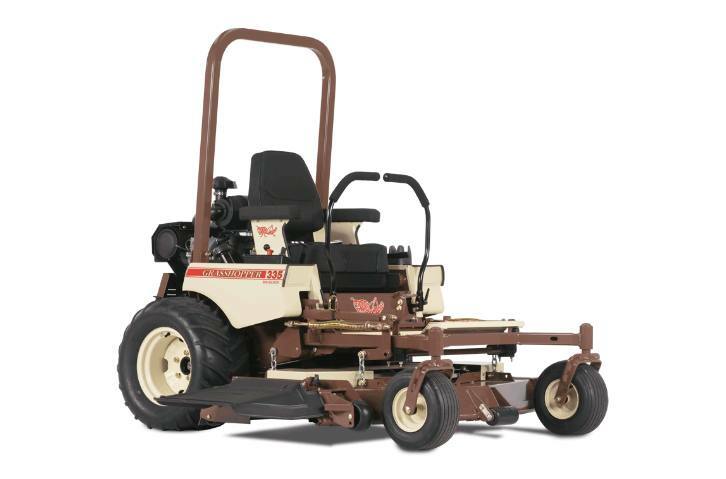 Other: Interlock System- Prevents engine start when PTO clutch is engaged or steering levers are in drive position. Allows operator dismount without engine shutdown only when PTO is disengaged and steering levers are locked in neutral. Spindle Assembly: Sentry™ Spindle System, 2.5 cm (approx. 1 in.) O.D. shaft. Spindle head designed to eliminate fiber wrap. Double bearings, non-greasable. 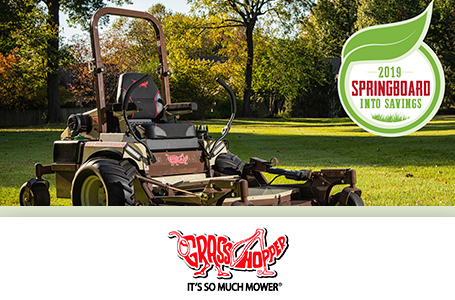 Front Wheel: 13x6.50x6; rib tread, pneumatic with greasable, double-sealed bearings to protect from grass wrap. Steering: One- or two-hand operation with adjustable Hydra-Smooth™ dual levers that automatically return to neutral from either forward or reverse position.